ValuTrack offers the broadest range of barcode printing solutions, including Industrial Barcode Printers, Mobile Label Printers, Desktop Barcode Label Printers, RFID Printers and Print-and-Apply systems. We can help you choose from direct thermal or thermal transfer printing methods and evaluate which brand is right for your application. We carry Zebra, Honeywell, Epson, Intermec, Datamax-O’Neil, Sato, Printronix, CognitiveTPG and more. We also provide printing supplies such as barcode labels, ribbons, RFID tags, ID cards, and custom barcode labels for your shipping, warehousing and inventory needs. Direct thermal or thermal-transfer desktop barcode printers are perfect for economical low-volume needs to rugged, industrial-strength printing and applications. Compact design, quiet, intuitive and reliable – ValuTrack offers a wide range of configurations designed to excel in your business environment. Print labels, tickets, tags, receipts or wristbands efficiently and economically. Equip your mobile workforce with the power to print on demand. Mobile barcode printers improve the productivity, precision and accuracy of your workforce, delivering measurable results. Connect to your barcode scanner, mobile computer or tablet via WiFi or Bluetooth for wireless label, receipt and barcode printing without the hassle of cords or cables. 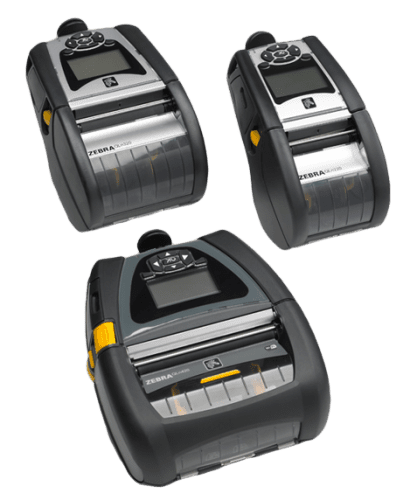 ValuTrack’s line of mobile printers range from those ideal for occasional use, to rugged machines that feature a range of latest connectivity options and robust functionality that keeps you operating in even difficult situations. Print and apply systems are extremely beneficial in the shipping and manifesting process as well as other places in the warehouse. 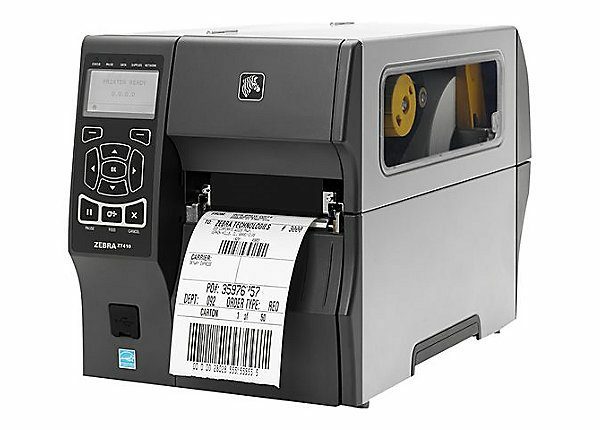 Typical systems include a barcode scanner to identify the particular parcel, a print/apply machine, conveyor for inducting, labeling, and discharge, a verification scanner to read the printed label, software to merge data, and communicate with the host system, and shipping software as required. Print and apply systems are not limited to shipping applications. Many companies have products that are time stamped, serialized, or require a variation in every label that is applied to the product or shipping box. Any of these scenarios is easily resolved with automatic printing and application of the label. Additionally, many retailers and industry specific applications require compliance labeling. Compliance often consists of a label size, particular placement of the label, ability to read the barcode with an ANSI A or ANSI B quality score, and how boxes are stacked onto a pallet for easy scanning. ValuTrack provides systems to comply and integration that require Advanced Shipping Notices (ASN), UCC128 compliance, and EDI interfaces. RFID solutions give you the real-time asset visibility you need to streamline operations, maximize asset utilization and error-proof asset-related data. ValuTrack provides end-to-end solution simplicity, with everything you need to implement RFID in your organization — from well-tested industry leading infrastructure to the expertise you need to maximize the benefits of RFID in your enterprise. Every RFID solution starts with RFID tags. We will help you choose the right solution from our portfolio of RFID printers, so you can create whatever you need, from small item-level hang tags to case and pallet labels to photographic quality RFID-enabled identity cards. Our team works closely with you to ensure your comfort level with the technology and that every tag you print is encoded with the right data.